Zotac wants to gift one of their fans with their brand new Nvidia RTX gaming graphics card! 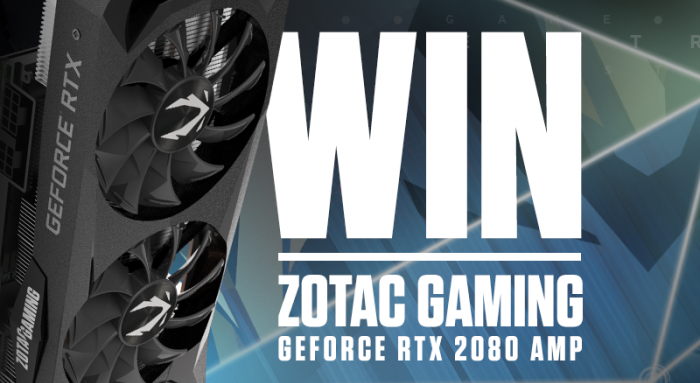 To enter in this Zotac Gaming GeForce RTX 2080 AMP GPU Giveaway grab your free entries by following few simple steps listed down below! Winner will be Announced Oct 1st, 2018.